A removed post on the Square Enix website teased the upcoming PC release of Octopath Traveler, including a release date. Octopath Traveler is a fantastic JRPG, but its Nintendo Switch exclusivity meant many players missed out on the experience. Happily, Square Enix has been working on a PC port of the game, and a now-removed blog post from the studio provided a quick glimpse at when PC players can expect to check out the game. Though the Square Enix blog post listing has since been removed, the folks at Gematsu were able to confirm the details: Octopath Traveler will release for Steam on June 7. This follows on reports made last week after Octopath Traveler was rated for PC by the Game Rating and Administration Committee of Korea. At the time, no one was exactly sure if that PC port would come west; considering how big PC gaming is in Korea, fan expectations weren't exactly high for a western PC release. However, the latest removed listing confirms what gamers have been hoping for: Yet another way to play Square Enix's beautiful retro-inspired JRPG release. The game certainly looks great on the Nintendo Switch, but being who we are, we're inclined to believe it will look absolutely glorious running on more powerful hardware. "Too many developers have tried and failed to capture the nostalgic and often magical feelings that players have for the JRPG genre. Pared-down retro releases and fluffed-up remakes come and go, yet none of them seem to get things exactly right. 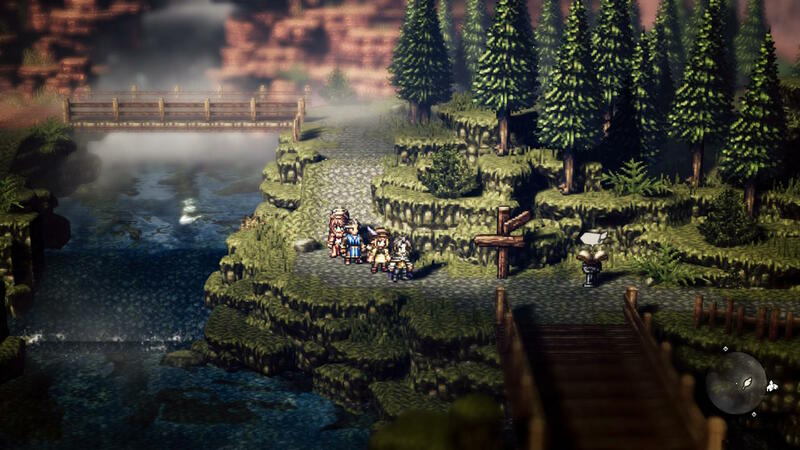 Fortunately, Octopath Traveler succeeds where other classically-styled RPGs fail: the presentation is spot-on, the combat is addictive, and the potential for party customization is tremendous." Despite the removed blog listing, PC players can still likely expect to get their hands on Octopath Traveler when it releases for Steam on June 7. For the rest of your gaming industry news coverage needs, be sure to keep it tuned right here to Shacknews. YES! Day 1 for me, will buy it the moment I can. Been waiting for this announcement for a long time, awesome!